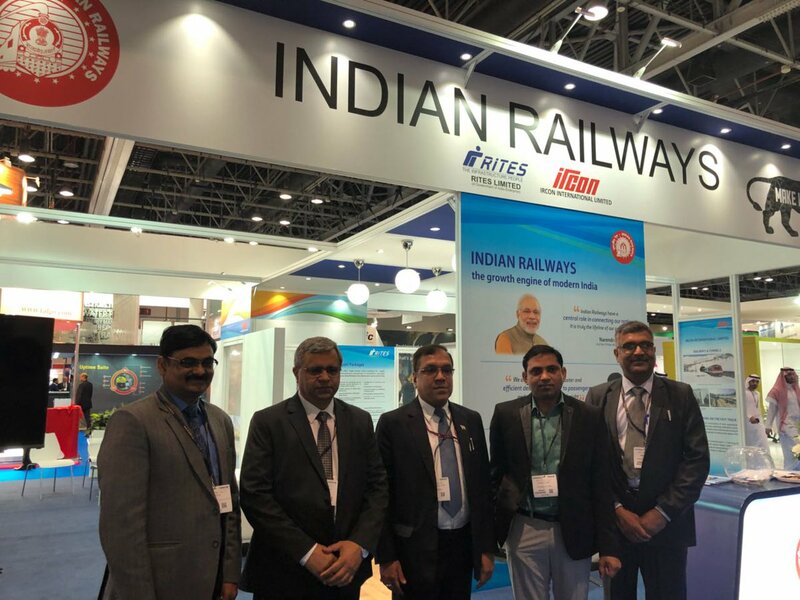 Dubai, UAE: Indian Railways, India’s national railway system operated by the Ministry of Railways, has announced participation at Middle East Rail 2018, to talk about $140 billion worth of current and future rail projects that the government is building to upgrade country’s urban transportation network. Under the patronage of His Highness Sheikh Mansour Bin Zayed Al Nahyan, Deputy Prime Minister, Minister of Presidential Affairs, UAE and in partnership with the Ministry of Infrastructure Development and the Federal Transport Authority – Land & Maritime, the show will be held on March 12 & 13 at Dubai International Convention Centre. Shri Mahesh Kumar Gupta, Member Engineering – Indian Railway Board, Indian Railways will lead a high-profile delegation of railway officials and experts to share more details about the region’s largest railway network’s expansion plans and future growth prospects, besides outlining a buddle of opportunities that the industry offers in the segments of metro, tram, monorail, long-distance freight and passenger train, and high speed rail. Indian Railways will also be represented by two of its overseas arms – RITES and IRCON International Limited. While RITES deals in consultancy of transport and infrastructure and export packages of rolling stock, the IRCON is mainly into construction of railway projects. “These are exciting times for railway industry. There are serious challenges in the road and air transportation sector, hence, the upgradation of the railway infrastructure is the need of the hour. 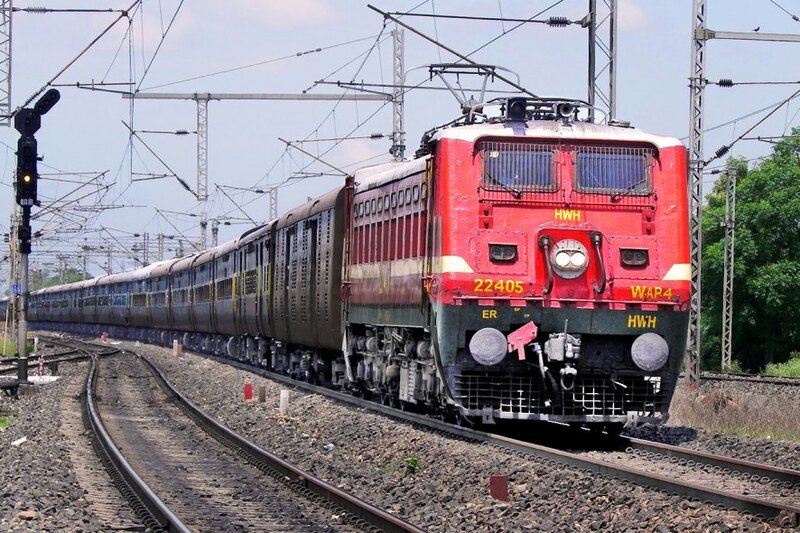 Indian Railways has realised that accumulated backlog investment is the root cause of its inability to improve the market share or quality of services,” said Sri Gupta, adding that major investments are now being made through budgetary allocation of INR8.56 lakh crore in the financial year 2015-16, with contribution from gross budgetary support (INR2.56 lakh crore), internal generation (INR1.00 lakh crore), JV/cost sharing (INR1.20 lakh crore), PPP/partnerships (INR1.30 lakh crore), debt (INR2.50 lakh crore), rolling stock lease (INR1.00 lakh crore) and institutional funding (1.50 lakh crore). Indian railways aims to concentrate on major investment projects in the areas of dedicated freight corridor, high speed rail, modernization of signalling system, track and rolling stock maintenance with major emphasis on safety. On the day one of conference, Indian Railways’ Chief Engineer Ankala Saibaba will talk about one of India’s mega railway project, costing USD$1.7-billion, involving over 45 tunnels and 125 major bridges. He will share various challenges associated with designing and constructing the world’s tallest railway bridge, besides showcasing state-of-the-art technology adopted by Indian Railways. He will also highlight some of the forthcoming major railway projects and the vast opportunities that are up for grab for the international companies. Jayanth Pandey, Assistant General Manager, Metro Link Express for Gandhinagar and Ahmedabad, will share more details about Ahmedabad Metro Phase 1 during a roundtable interactive session on day one. While, on day two, Sanjay Kumar, Chief Engineer – Signalling & Telecommunications, Kolkata Metro Rail Corporation, will take part in a panel discussion titled Asset management 4.0: to outthink, outcompete and outperform. He along with other experts from UAE, Singapore and South Africa will deliberate upon how to implement a robust rail asset management strategy in the age of digitalisation. Middle East Rail recorded 64% repeat exhibitor bookings for 2018 edition, bringing over 290 regional and international railway operators, suppliers and contractors to present their services to potential buyers and nurture professional networks. Keeping up with the industry trends and to accommodate increased interest, the show has expanded in scope for the 2018 edition. The organising committee has introduced two new streams that will feature Passenger Information Systems and Transport Ticketing Systems that cater for the needs of modern passengers. A series of interactive sessions have been designed to introduce technological disruptions and provide updates on rail contracts worth $16 billion planned to be awarded in 2018 in the MENA region – according to MEED Rail Report 2018. Industry experts from Europe, Middle East and Asia will share insights on privatisation, digitalization, modernisation and pioneering the future of Mobility 4.0. throughout two days of keynotes, open discussions and research sharing sessions. Metro Rail News is official Media Partner of Middle East Rail 2018.